I decided to make a quick visit to MacArthur Beverages to pick up some Greek wines and others to taste. When I walked into the store everyone was in the back tasting some wine. I was pleased to see Olivier Lotterie of Vineyard Brands again (he recently poured the Tablas Creek at the California Barrel Tasting) and completely surprised to see Cesar Perrin of Chateau de Beaucastel/Famille Perrin tasting barrel samples and other selections. The 2010 Chateau de Beaucastel, Coudoulet de Beaucastel and Beaucastel Rouge were barrel samples. This is indicated by the different label which indicates Enchantillon pris sur cuve or “Sample taken from vat.” According to Danny Hass (Vineyard Brands) these two wines have completed blending and will remain the same until they are bottled in September. It was a pleasure to taste all of these wines. 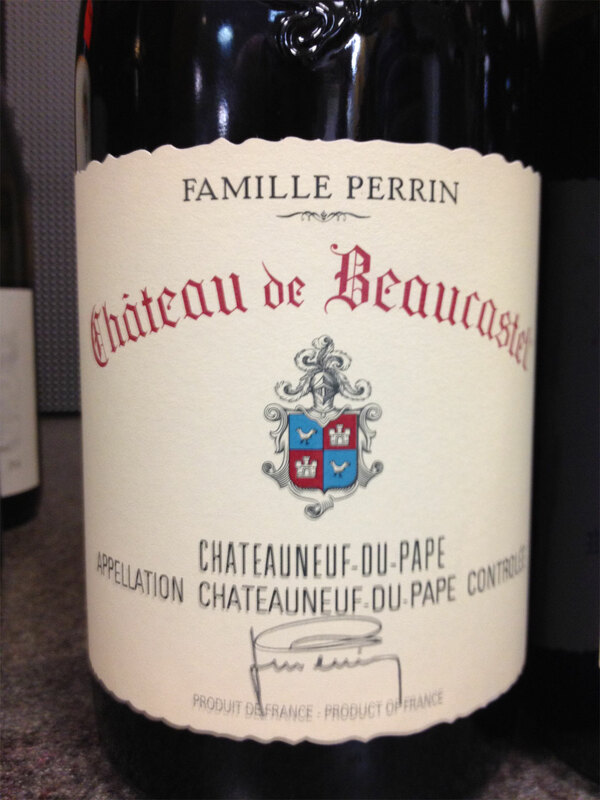 For those who cannot wait the 2009s are lovely and if you have the money then squirrel away a bottle or two of the Beaucastel Chateauneuf du Pape. I would like to extend my gratitude to Cesar Perrin and Olivier Lotterie for letting me join the tasting and to Danny Hass for quickly answering my questions. Imported by Vineyard Brands. This wine is a blend of 70% Syrah and 30% Grenache sourced from 15-25 year old vines, a good portion of which are declassified young vines from Vinsobres. There was a youthful and floral nose which was quite engaging. In the mouth there were tart red fruit flavors, a little lightness, grapier tannins, and lots of red fruit in the finish leaning towards a citrus aspect. This is a young but approachable wine to be drunk over the short-term. Imported by Vineyard Brands. This is a blend of Grenache and Syrah sourced from 40-year-old vines. The nose was focused with red and blue fruit, supported by a hint of grapefruit, and eventually some good, earthy Gigondas stink. In the mouth the flavors were focused with the strength of the wine held in check by youth. The aftertaste revealed dark red fruit and was a little spicy. I would cellar this for five years. Imported by Vineyard Brands. This barrel sample is a blend of Grenache 30%, Mourvèdre 30%, Syrah 20%, Cinsault 20%. There was a nose of young black fruit with grapey aromas. In the mouth the black fruit flavors led throughout along with some herbs, in an easy-going manner. There was lively acidity throughout. It is currently playing it close and will benefit from several years or more of cellaring. Imported by Vineyard Brands. This barrel sample is a blend of 30% Mourvedre, 30% Grenache , 10% Syrah, 10% Counoise, 5% Cinsault and the rest a blend of Vaccarese, Terret Noir, Muscardin, Picpoul, Picardan, Bourboulenc, and Roussanne. It is the same blend as the 2009 but from a 30% smaller crop. The nose revealed tighter red fruit with hints of ripeness. In the mouth there were red fruit flavors with lots of focus that put on weight as it developed in the mouth. The tannins are very well-integrated, a bit spicy. This wine is focused and determined to develop with age, the tannins and acidity are seamlessly integrated and lend to its understated capability for longevity. Revisit in five years but should last for a very long time. Imported by Vineyard Brands. This wine is a blend of 30% Mourvedre, 30% Grenache , 10% Syrah, 10% Counoise, 5% Cinsault and the rest a blend of Vaccarese, Terret Noir, Muscardin, Picpoul, Picardan, Bourboulenc, and Roussanne. There is lovely brambly fruit on the nose tilting towards blue fruit flavors. In the mouth there are lots of up-front softness (not flabby) before a seductive, racy quality (Licorice/Kirsch perhaps) comes out which persists all the way through the long aftertaste. 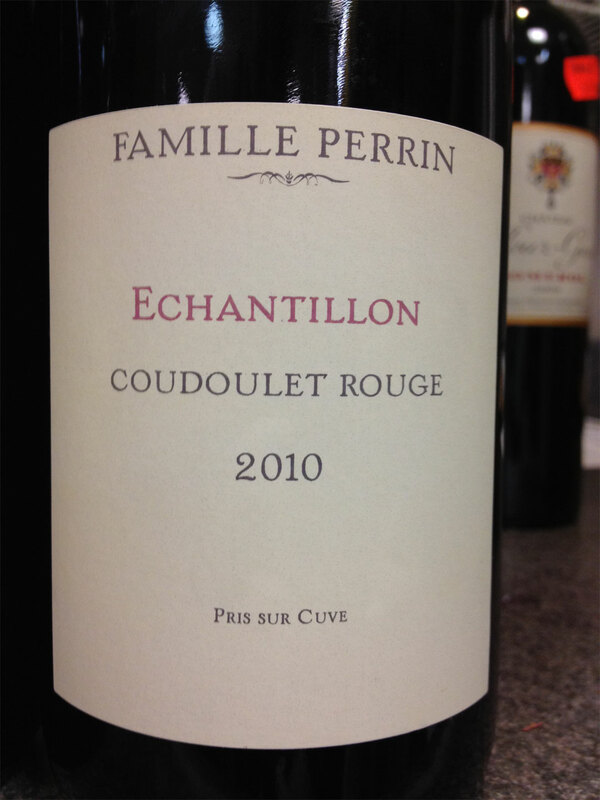 There are dark ripe flavors in the middle with lovely tannins and a stellar aftertaste. I imagine this will drink earlier than the 2010. A beautiful and very good wine. Very approachable right now this is hard to resist drinking but should be amazing once mature. 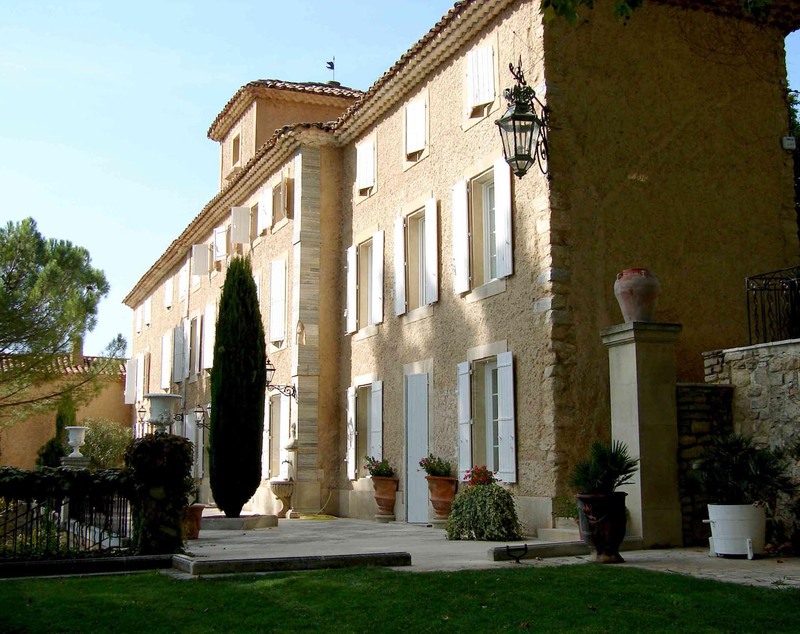 The village of Gigondas is nestled in the hills of the Dentelles mountains. It is almost a dividing point between the lower, flatter plain and the higher, hilly area. The two ridges of the Dentelles are located just south of the village and run east-west. The vineyards closer to the river Ouveze lie at 100-150 meters where the stonier soils contain less clay. Those nestled against the Dentelles reach 600 meters where there is rich, yellowish clay soils. The Saint Cosme estate is located just north-east of the village. The estate of Boussiere is located south-east of the village, high-up on the nothern side of the Dentelles Sarrasines. Grand Montmirail is located at the extreme south-eastern limits of the Gigondas region on the south side of the Col d’Alsau and La Salle at middle elevation of 300 meters. I recently purchased all three of these wines from MacArthurs. 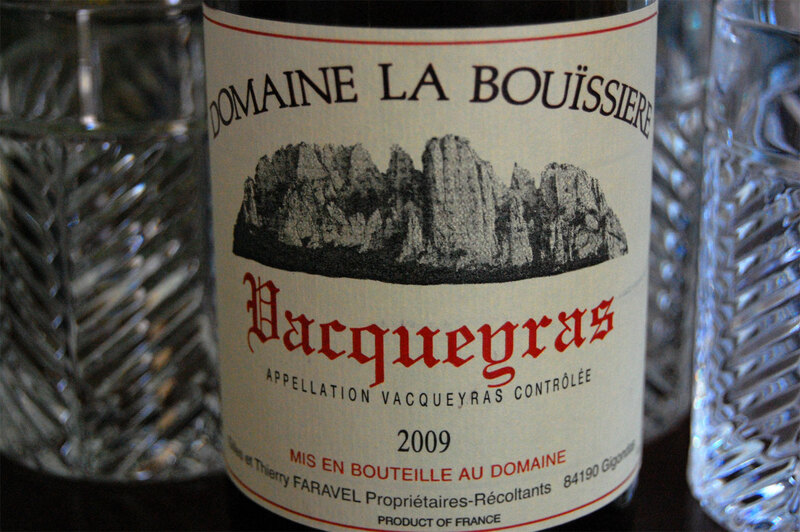 Of these three wines my heart was captured by the Bouissiere which I strongly recommend you try. There is an elegance to this wine lent by the high altitude vineyard where the Syrah grows quite well. Indeed this wine has the highest proportion of Syrah. I also recommend you try the Saint Cosme. This is not rustic Gigondas, instead it is a full-bore, concentrated, tannic Gigondas that needs age and will last for over a decade. 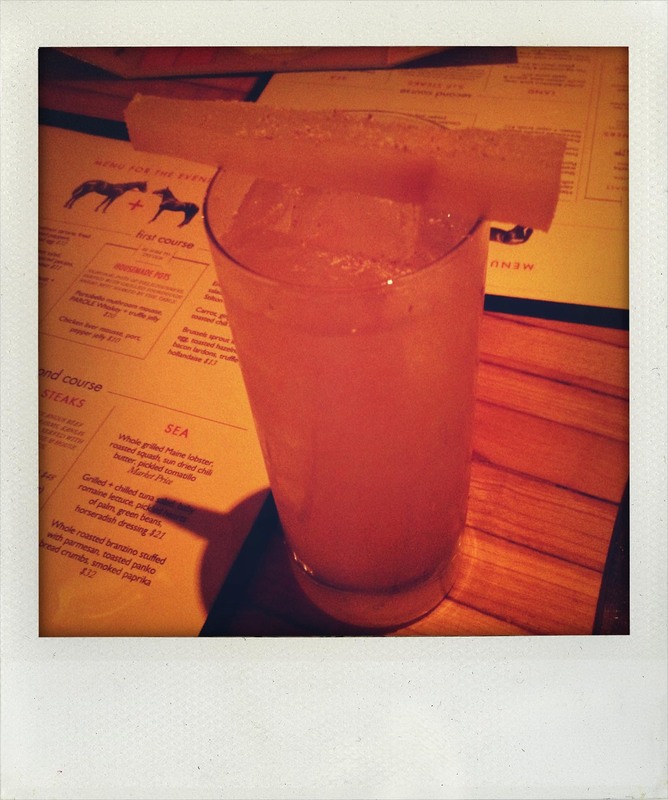 The Brusset was a decent drink and though it changed personalities over two nights, it never achieved its balance. 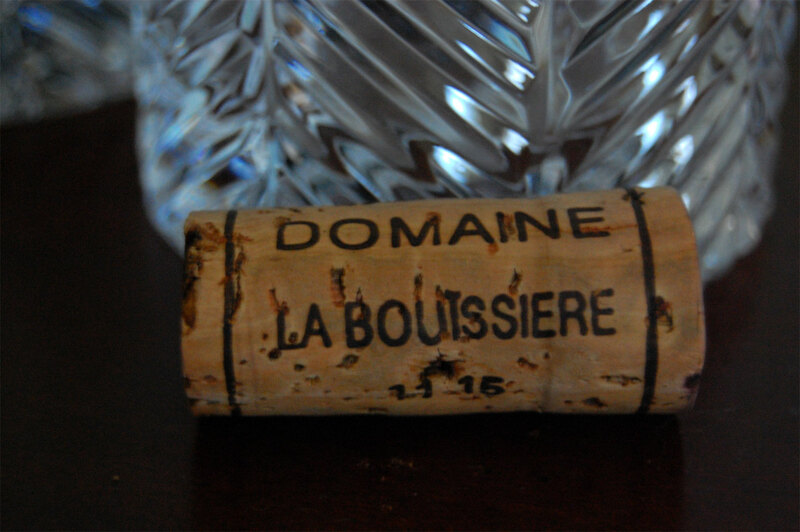 The Bouissiere is imported by Dionysos Import and available for $27. The Brusset is imported by Simon N Cellars and available for $27. 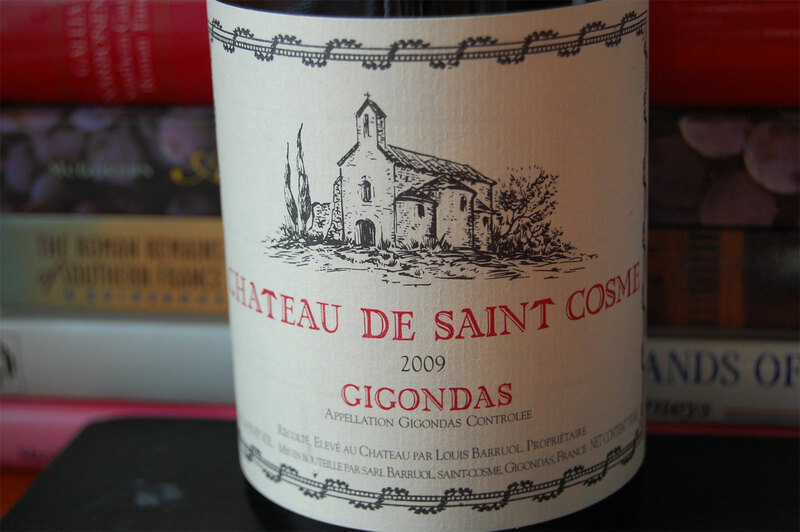 The Saint Cosme is imported by The Country Vintner and available for $35. This wine is a blend of 70% Grenache and 30% Syrah that was aged for a year in both tank and 1-3 year old barrels. The nose is clean with fruity red fruit and delicate finesse. In the mouth the elegant red fruit has a powdery texture with good weight which expands in the finish. The lovely fruit has sweet spice, licorice, and incense notes before minerally/steely notes come out in the aftertaste. This is a pleasure to drink but will develop and last. This wine is a blend of 65% Grenache, 15% Syrah, 15% Mourvedre, and 5% Cinsault. The wine was aged 60% in vats and 40% in 2-4 year old demi-muids. There was a dark, fruity nose. In the mouth the flavors were darker and richer than the Bouissiere. The flavors integrated with textured tannins and herbs in the finish. This showed less liveliness and acidity than the Bouissiere. On the second night there was a slight floral quality to the nose. 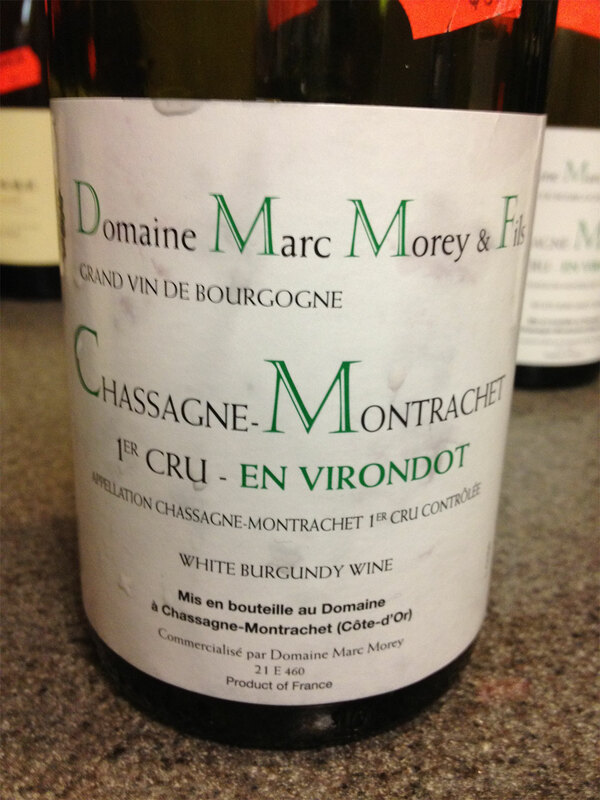 The mouth was better balanced and felt coiled, with ripe and sweet blue fruit flavors. It became spicy in the finish, with some heat. This wine is a blend of 60% Grenache, 20% Syrah, 17% Mourvedre, and 3% Cinsault. The wine was aged for 12 months in 70% 1-4 year old wood barrels and 30% in cement and wood tanks. This was salty, rich, and clearly the most concentrated of these three bottles. There were lots of fine+ tannins and spicey flavors in this wine which is cleary youthful and primary. On the second night it was still concentrated with blue and red fruits, unyielding, and contained lots of drying, fine tannins in the aftertaste. This will greatly benefit from short term aging and should last for some time. This is a new selection on the shelves at MacArthurs. I was excited to try a bottle of this 2009 Gigondas not only because Phil had recommended it but because we really enjoyed the well-priced 2009 La Grange de Piaugier. This bottle did not disappoint, while it drank well right after opening, its beauty was revealed after one hour. It really is worth purchasing this wine just for the nose alone. 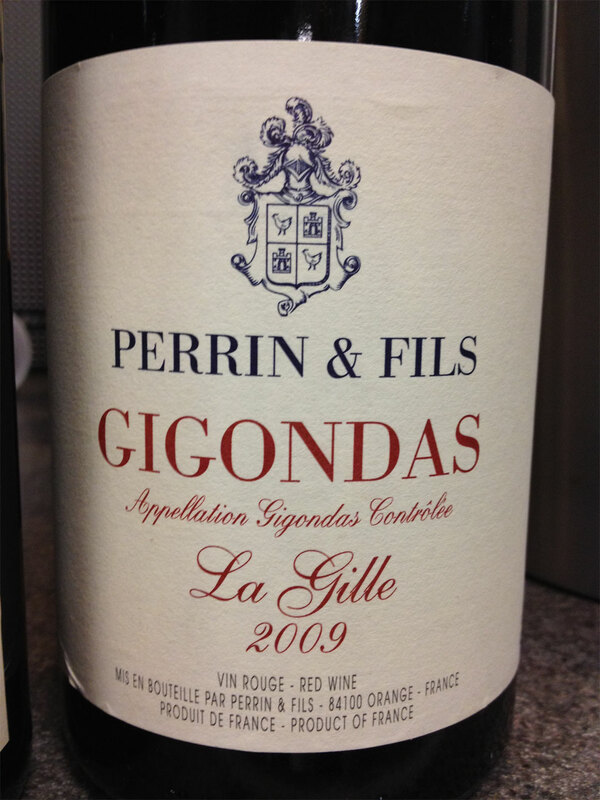 This is a very elegant Gigondas at a great price so I recommend you drink a few bottles now and cellar the rest. 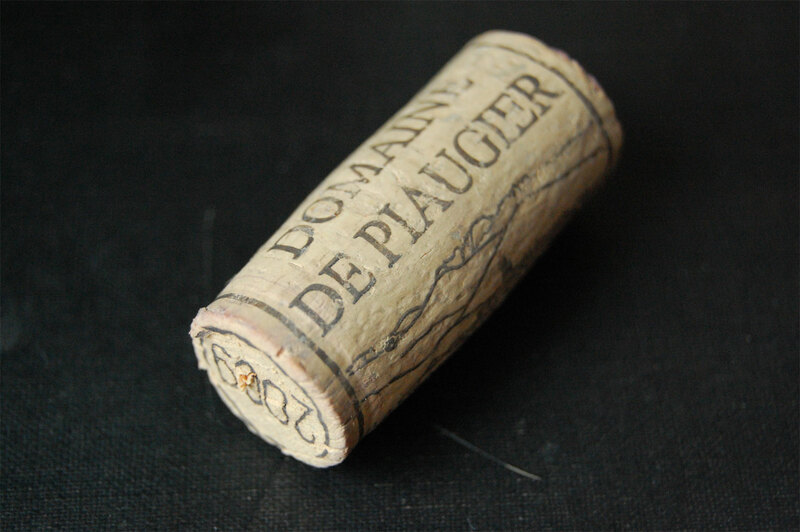 This bottle from Domaine de Piaugier is imported by DS Trading Company and available for $23 at MacArthurs. This wine is a blend of Grenache, Mourvedre, and Syrah sourced from 40-year-old vines. The nose is beautifully scented with aromas of orange rind, spices, then floral with a subtly sweet maple note. In the mouth the flavors are floral with spiced red fruit that is both complex and fresh. There are supporting coarse tannins, good clean body, and a finish with more floral fruit, a wave of acidity, and drying tannins. This opened up after one hours then started shutting down after three hours. ***(*) Now-2022. This past Saturday I managed to squeeze in a short visit to MacArthurs to taste several wines poured by Bobby Kacher. 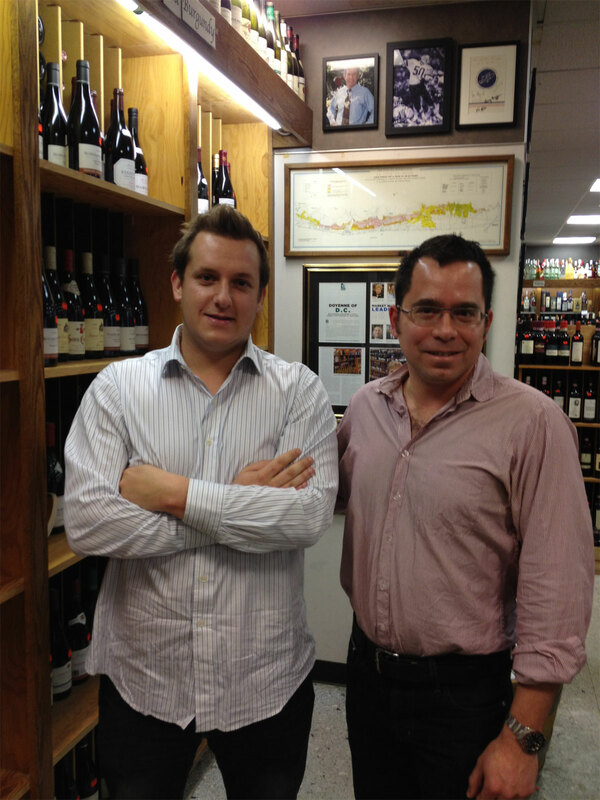 For over two decades Bobby has imported wines from his base in Washington, DC. Though there was a continuous crowd of approximately one dozen people, he poured the wines, kept track of what everyone was drinking, meticulously managed the bottle temperatures, checked every glass before handing them over, and kept up an engaging banter. 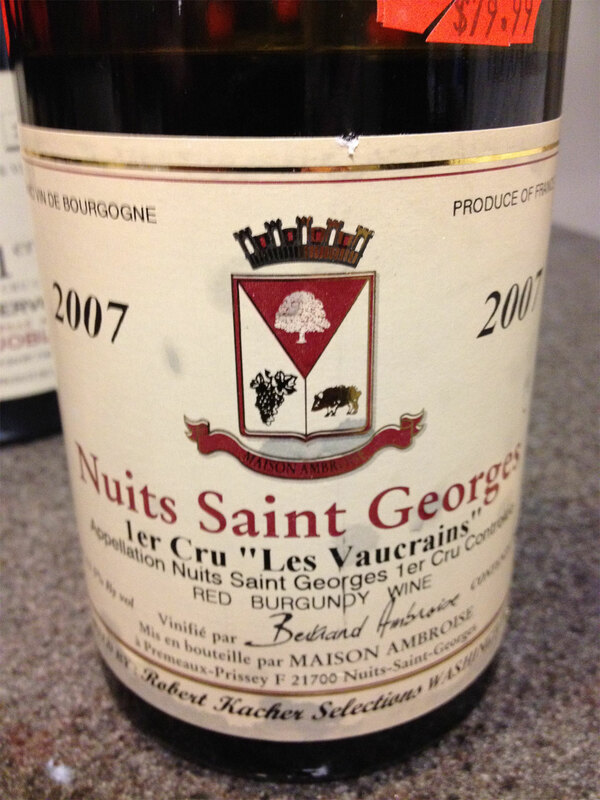 To demonstrate the development of secondary aromas and flavors for one customer, he opened up a bottle of the 2007 Vernand Ambroise, Les Vaucrains. My notes are a bit better than usual for a store tasting because the pours were decent and wine glasses were used. This was a fun tasting. I always enjoy tasting wines that I have not picked out and particularly enjoy tasting outside of the regions we typically drink from. 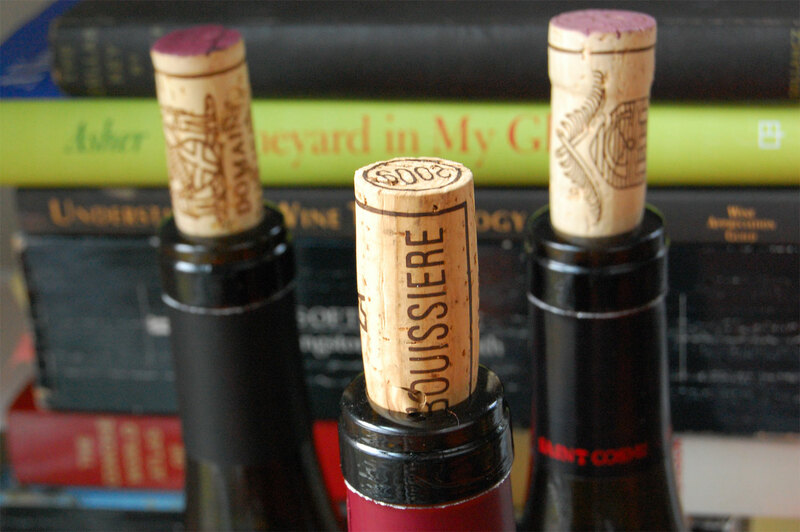 The Domaine Thomas, Domaine Santa Duc, and Chauvenet-Chaupin are all pleasing and interesting wines appropriately priced between $24-$35 per bottle. At the higher-end of the selections I would be happy simply smelling glasses of the Ogier and Bertrand Ambroise. 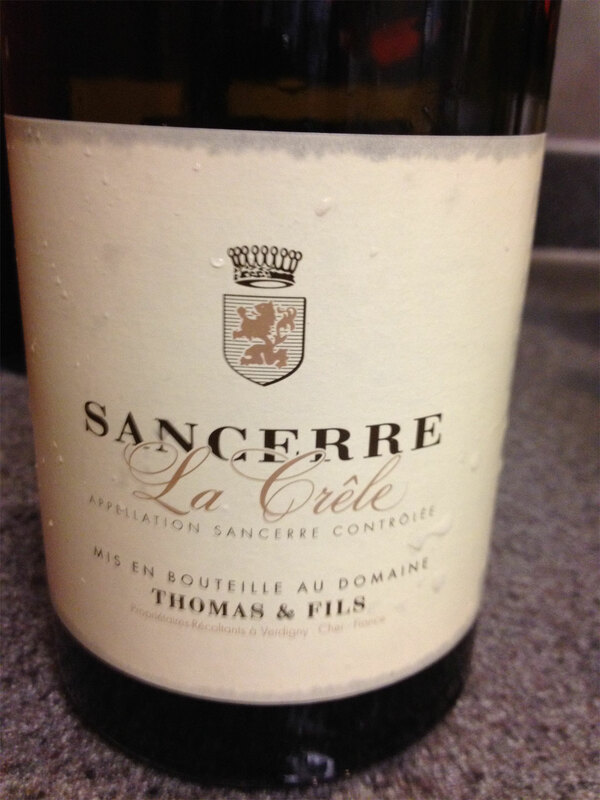 This wine is 100% Sauvignon Blanc sourced from the La Crele vineyard. This vineyard is located on a hillside with soils of limestone and small rocks. The vines are 35 years old. A strong, lifted nose of subdued tropical fruits with good citrus and grassy components. In the mouth there is a good mouth feel with balanced acidity. After we had tasted the Santa Duc, Bobby poured us a second glass of this wine to demonstrate the purity of the nose. Quite a nice wine. Not Rated. This wine is 100% Chardonnay sourced from a steep, rocky section. There is a rich, delineated nose with some toast aromas. In the mouth there are green apple flavors, an undertone of vanilla, and crisp apple-like acidity. The fruit is textured with tannins becoming evident towards the finish. This wine is young and need time for the oak to integrate. But I must admit that I rather liked the tannins. Not Rated. This wine is a blend of 75% Grenache, 15% Syrah, 5% Mourvedre, and 5% Cinsault. 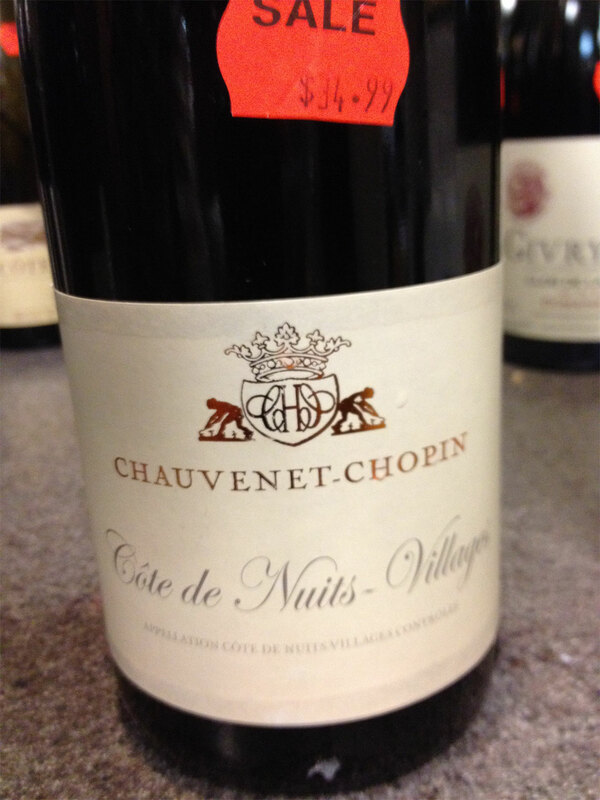 The nose sported pure red fruit and a little earthiness. In the mouth the lovely textured red fruit lifted and expanded midpalate before the incensed finish. The mouth is completely covered by the time of the long aftertaste. There is a nice quality to this wine as the fruit turns darker with blue/black berries in the finish. Not Rated. This wine is 100% Syrah with 70% sourced from Cote Blonde and 30% from Cote Brune. The vines are 18-63 years of age. This was incredibly aromatic, the most out of all wines tasted this day. The nose was earthy and textured with aromas of red and black berries. In the mouth the flavors were more subtle with red, grainy fruit and a cool finish. Right now the nose steals the show but hopefully in a few years it will develop in the mouth. Not Rated. This wine is 100% Pinot Noir. A nose of red fruit. In the mouth there are brambly red berries, good body, and a mineral-incense aspect. The fruit turns bluer midpalate with a fine texture before becoming lifted in the aftertaste. This should develop for a few years but it is absolutely pleasing at this point. Not Rated. This wine is 100% Pinot Noir sourced from very rocky, limestone rich soils. This was lighter and more structured than the Chauvenet-Chaupin. With more obvious oak, there is a complex midpalate, and long finish. Very young at this point. Not Rated. This wine is 100% Pinot Noir sourced from 50+ year old vines then aged in 100% new oak. The nose immediately revealed developed aromas of earthy, maturing fruit. 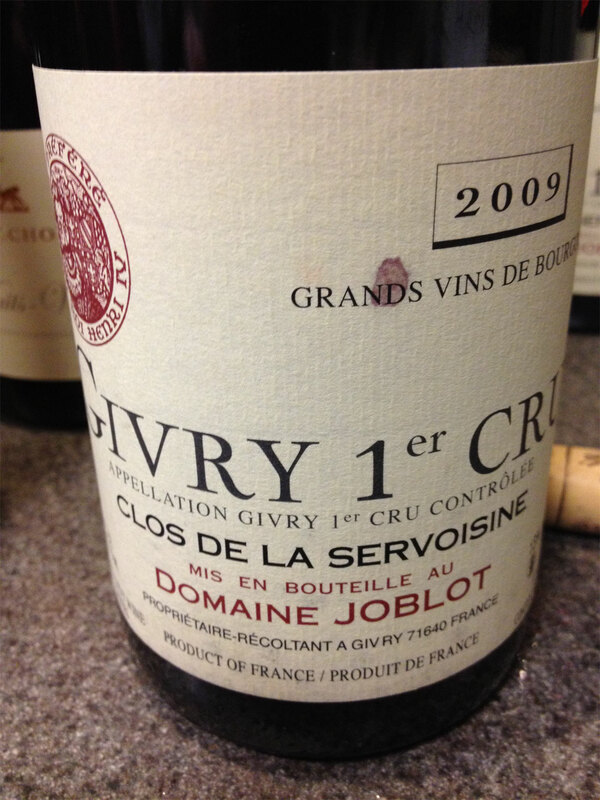 In the mouth there were ample flavors of red fruit that are still precise. There is plenty of supporting acidity, still very fine tannins, and somewhat of a lifted aftertaste. I would give this a few more years of age or several hours in the decanter. Not Rated. 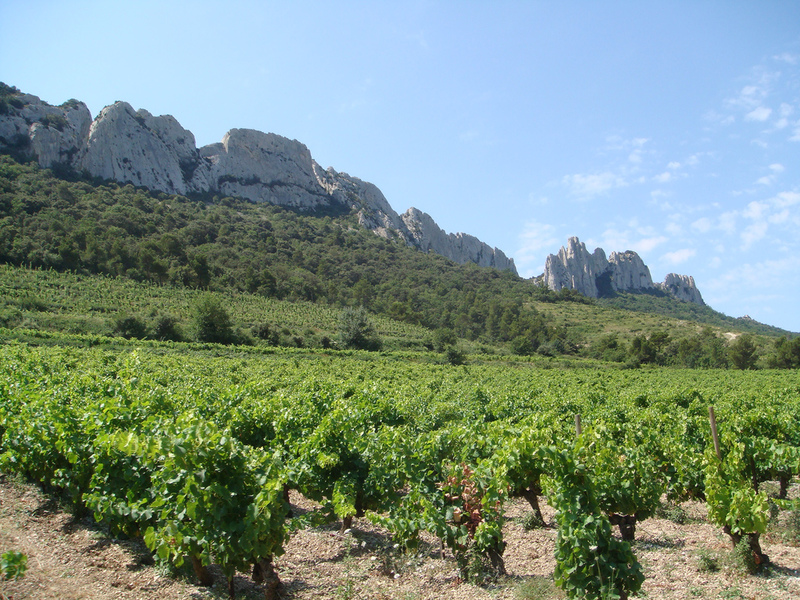 This domaine is named after the grove of trees that were cut down to create a vineyard on the hillside of the Dentelles de Montmirail. 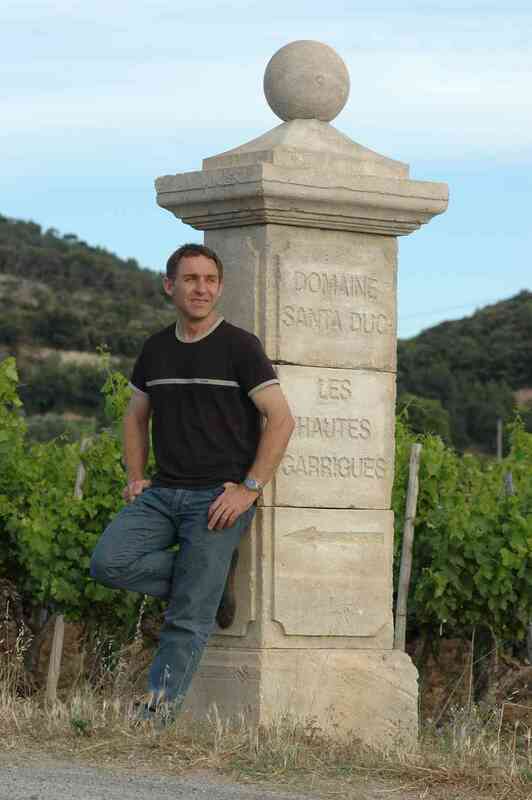 Brothers Gilles and Thierry Faravel have been producing wine since the death of their father Antonin in 1988. 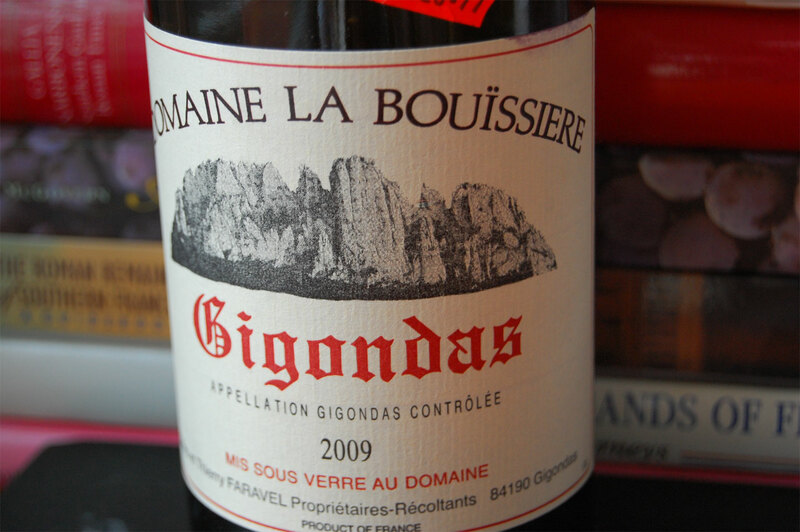 We have been fans of their wine ever since we first drank their 1999 Gigondas. Earlier this year we drank several lovely bottles of the 2007 Vacqueyras so I was excited when Phil asked if I wanted to try a bottle of the 2009. This wine is imported by Dionysos Imports and available at MacArthurs for $24. Jenn particularly liked this bottle. It is young in that the flavors are closely held. While it is approachable and quite tasty after several hours of air it is still a preview of what is to come. I would recommend cellaring this for 2-3 years before trying again but I suspect it will be better with even more age. This is a blend of 60% Grenache, 20% Syrah, and 20% Mourvedre. Drunk over two nights this wine has a subtle red cherry and strawberry nose. It slowly opens to reveal fresh red fruit which then changes to blacker fruit with an incense quality. There are subtle herbs, a hint of chocolate with an overall cool and balanced personality. The aftertaste sports fine+ tannins. On the second night the flavors were of gravelly red and blue fruit mixed with minerals. The fine+ tannins were still hanging about as a persistent aftertaste of black fruit flavor reminded us of what we had just swallowed. ***(*) 2016-2022. Somehow we let four and a half years slip by since we last visited William in New York City. This past weekend we took advantage of a rare alignment in schedules and Lorelei’s general excitement, to drive up. 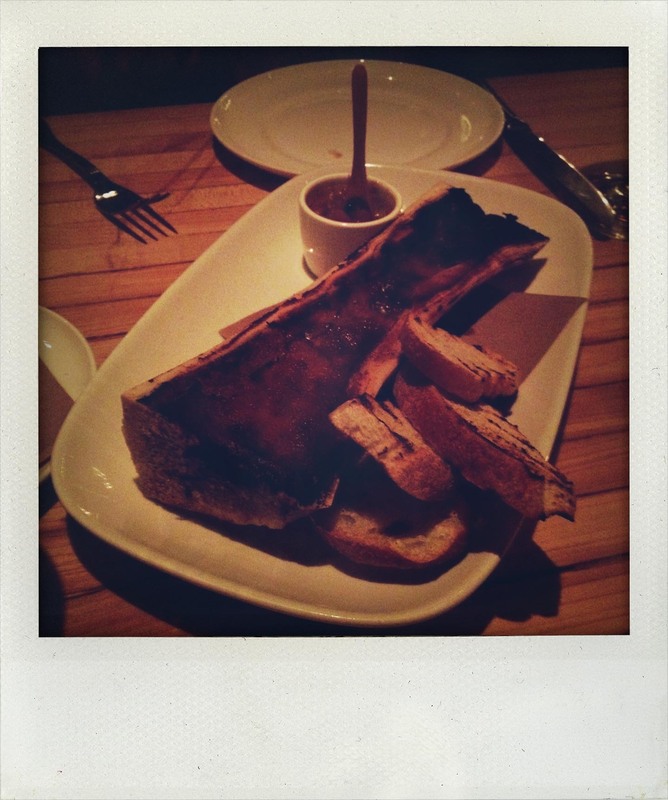 Lorelei was excited for a vacation and game for a “late night” dinner at AvroKO’s recently opened restaurant, Saxon + Parole. We stayed at a hotel in Soho so had a bit of a walk-around before changing and heading over for dinner. I took the liberty of bringing up two bottles from Les Sang des Cailloux to drink with dinner. As we entered the restaurant Linden quickly greeted us then directed us over to William. I suspect there are not too many three-year olds who dine here but she was made welcome. William started us off with the superb Celery Gimlet for Jenn, the Lower East Cider for myself, and a sparkling orange juice concoction for Lorelei. With drinks in all four of ours hands he gave us a tour of the restaurant. Perhaps visiting the spaces designed by AvroKO at discrete intervals makes for an easier time in grasping their development but I truly believe they are achieving a level of maturity in design and execution that is unassailable. Beyond the thoroughness is the skilled restraint and editing, the sense of properly sized rooms, dark lighting, and surprising music. From the main floor of Saxon + Parole through the secret door to Madam Geneva then doubling-back into the basement of the restaurant and ultimately back up to our table, Lorelei firmly clutched her drink, sucking down every last drop in her glass. Even she understood the deft touch to Narem’s drinks. I requested the charcuterie board to give Lorelei something to start on. She immediately went for the salami and blue cheese. 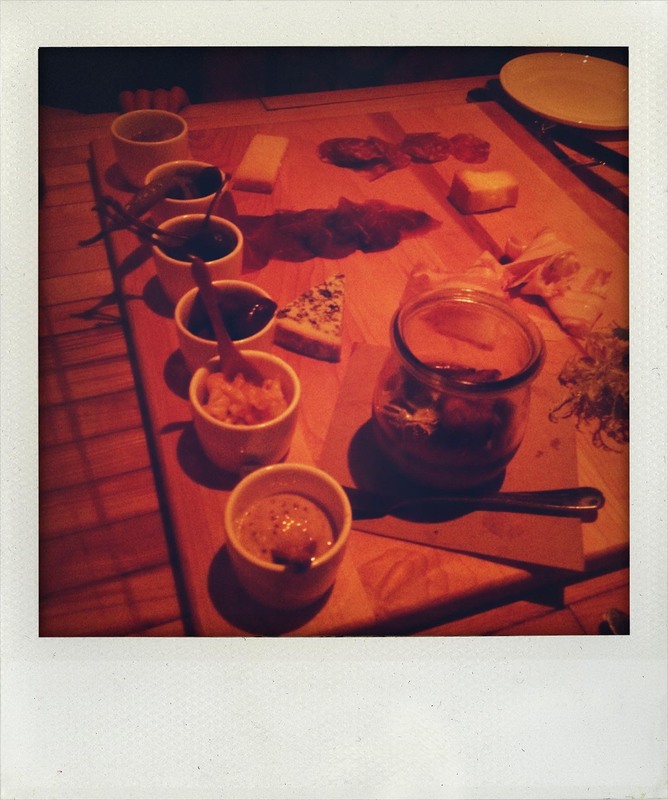 I particularly liked the chicken liver mousse pot, pickled cauliflower, and pistachio terrine. We could not resist the toast points which had the perfect amount of caramelization from lovely bread. William ordered the rest of the meal. 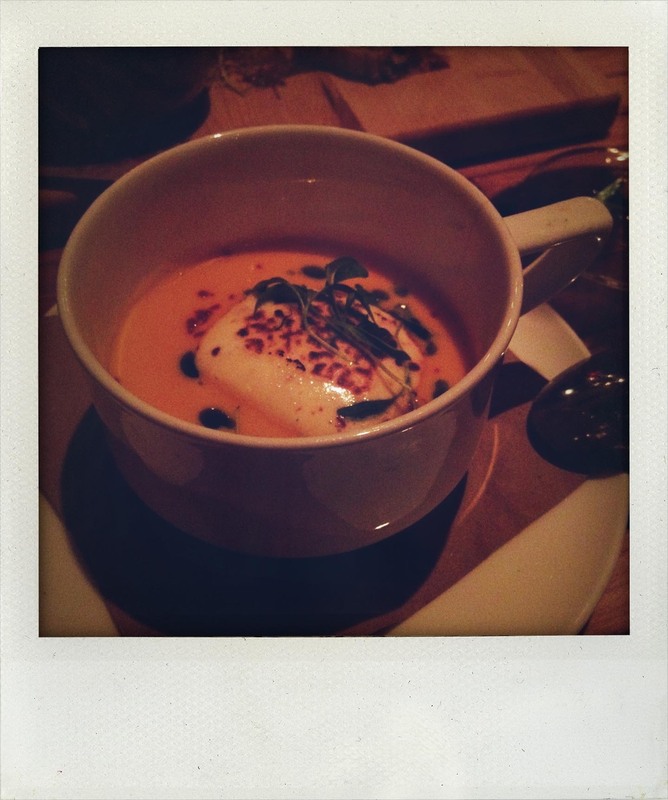 Soon the carrot, ginger, and lemon soup arrived, followed by the razor-clam salad, and miso-glazed bone marrow. All were outstanding with the soup upstaging the rest but the salad was undeniably satisfying and the orange & olive marmalade for the bone marrow restrained in sweetness and showing good depth. The entrees consisted of the Maine lobster , Berkshire pork, and roasted chicken accompanied by mustard mashed potatoes and braised Brussels sprouts. Lorelei loved the Berkshire pork and I think we all agreed. While Jenn instilled in me a love of Brussels sprouts, these were amazing with their perfectly caramelized bark. Lorelei was fading fast so a chocolate mousse and doughnuts quickly appeared. While the whiskey ice cream of the mousse was excellent, I must follow Lorelei in that the doughnut with the vanilla cream was hands down perfect. Lorelei and Jenn cabbed it home after dessert. After seeing them off William and I moved into Madame Geneva. Though late for my body it was early for a bar so we were able to get comfortable on a banquet. We moved onto a decanter of Moss Wood eventually followed by a decanter of Fenocchio Renato, Barbaresco. We were stepping it up, talking about the street food of Bangkok, ideas for this blog, getting excited, and just having a great time. I love the historical depth to wine and food so it is always enjoyable to talk with William and to visit his spaces where ideas and research are physically represented. 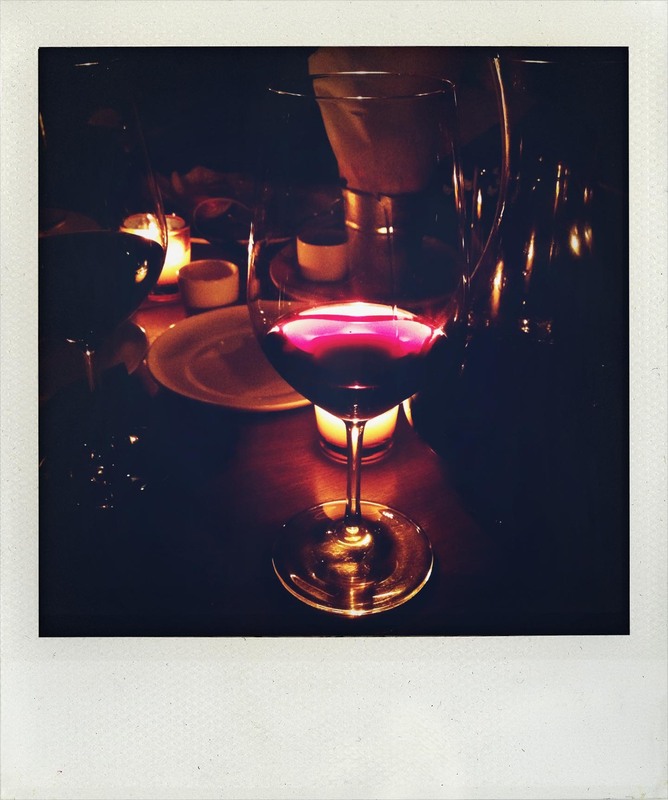 I left that night glowing from the wine and invigorated with ideas for my blog. This was the favorite wine for all. Lovely, rich, earthy, minerally, expansive, this bottle delivered to its maximum capability with William finding it “elegant.” **** Now-2017. Drunk next to the 2000 Cuvee Azalais, this was clearly younger and coiled. After an hour it left lovely, spiced, blue fruit and minerals on the lips and tongue followed by a long aftertaste. Cuvee Lopy is the old-vine cuvee and I believe this bottle needs to be aged. ***(*) 2015-2025. I picked a range of wines then William spoke with Chris the sommelier. I have not drunk a bottle of Moss Wood before so it was quite a delight. After an hour this opened up to have lovely ripe fruit, good mouth feel, concentration, and balanced structure. Our last glasses were the best so I would continue to cellar this. ***(*) 2015-2025. 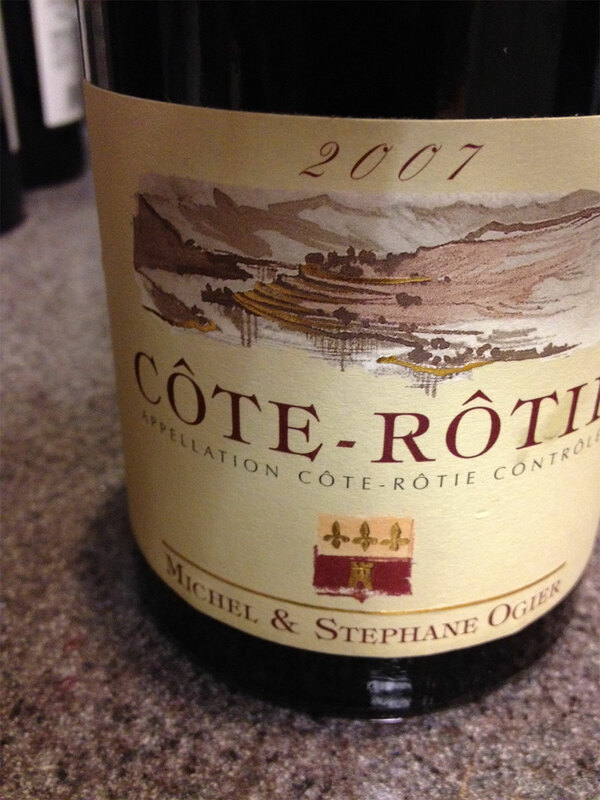 A complete left-turn with bright, grainy red fruit, higher-acidity, and stylistically the most different of the three. I was absolutely beat so I only had a glass. Probably a good wine in another context but I was so tired I had to go to bed. Not Rated. I occasionally come across wines that are so deeply satisfying and affordably priced that I can hardly contain myself. This happened twice this so month so I decided to write about them before I managed to catch up with all of my other tasting notes. I picked up the Santa Duc from the MacArthurs’ dump bin a week or so ago. I expected a decent drink as it is a good wine from a good vintage. I did not expect the perfect expression of a Cotes du Rhone beginning to develop complexity. We both really enjoyed it. Pleased that it was so tasty but remiss that there was probably no more I emailed Phil. He quickly responded that it was a closeout and they would be receiving almost 200 cases shortly. This is a stunning buy and one of the best bottles under $10 that I have drunk in a long time. Buy it by the case, I know I will. 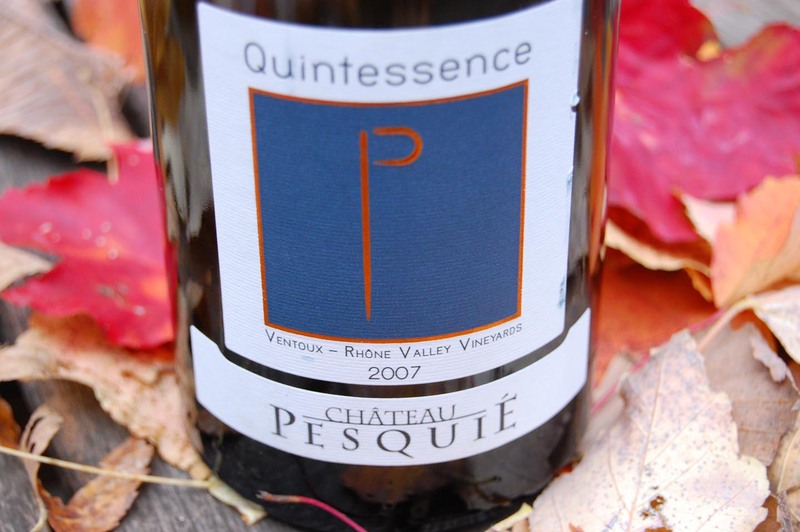 The Chateau Pesquie at two and a half times the price is also a lovely wine from a remarkable producer in Ventoux. It is similar to the Santa Duc in that it is very satisfying right now but will develop for years to come. 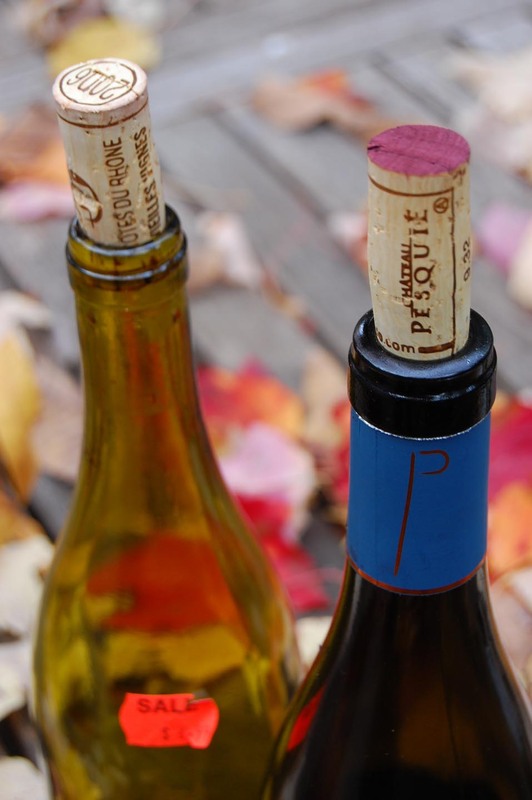 These are lovely wines to drink at home or for a restaurant wanting to surprise customers. 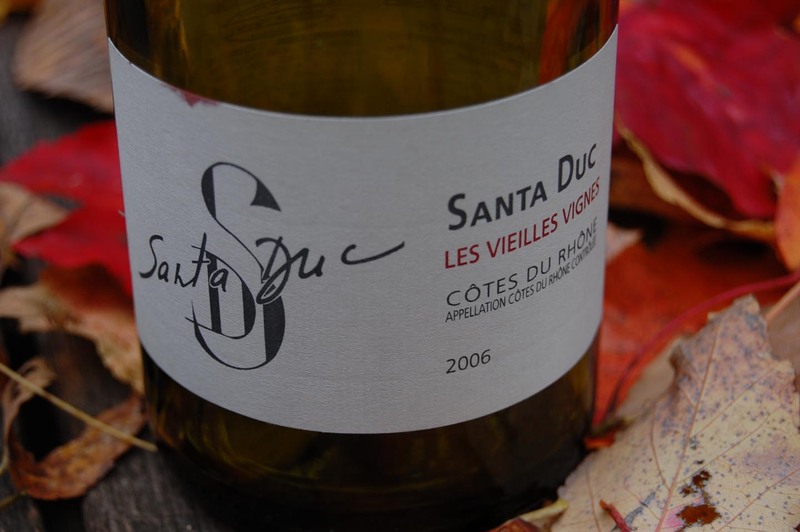 The Santa Duc is imported by Robert Kacher Selections and will be available for $9 at MacArthurs. 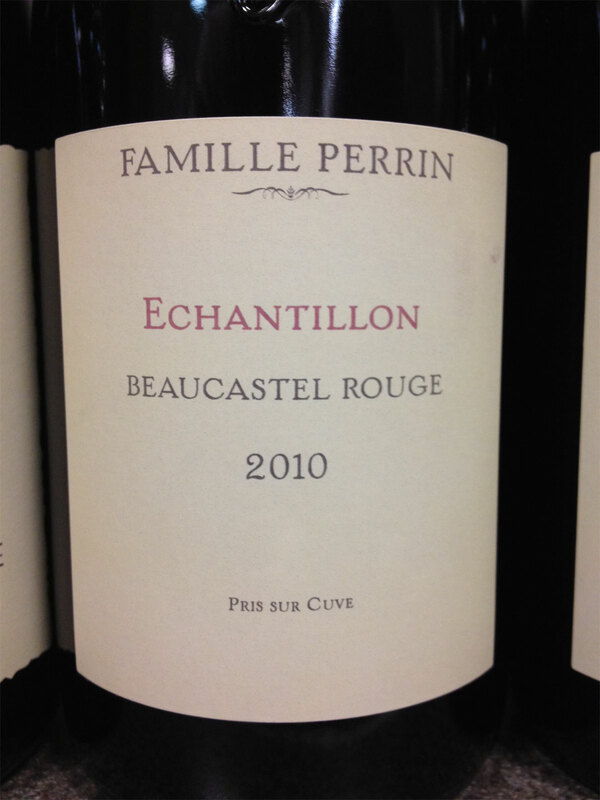 The Chateau Pesquie is imported by Eric Solomon/European Cellars and was recently available at MacArthurs for $24. This is a blend of 60% Grenache, 20% Syrah, 10 % Mourvedre, and the remaining 10% Cinsault, Cournoise, and Carignan. The Grenache is sourced from 50-year-old vines. The wine is aged in vat. This bottle drank well over two nights. There were flavors of riper red fruit, Kirsch, and brambly black fruit. This ripe, mouthfilling wine has stone notes before it turns bluer with black licorice, delivered in a dusty manner before the ripe, textured tannins appear in the finish. This will be a lovely drink for years to come. *** Now-2017. This is a blend of 80% Syrah and 20% Grenache sourced from old vines, the Grenache vines being over 50 years old. The wine is aged for 12 months in 60% used and 40% new oak barrels. The nose is light with gritty fruit. This savory wine is rich with dark flavors, sweet spices, and delicate red flavors that dance on the tongue. It is full-bodied with some very fine tannins. The finish is smooth with some vanilla notes and ripe, powdery tannins. ***(*) Now-2020.